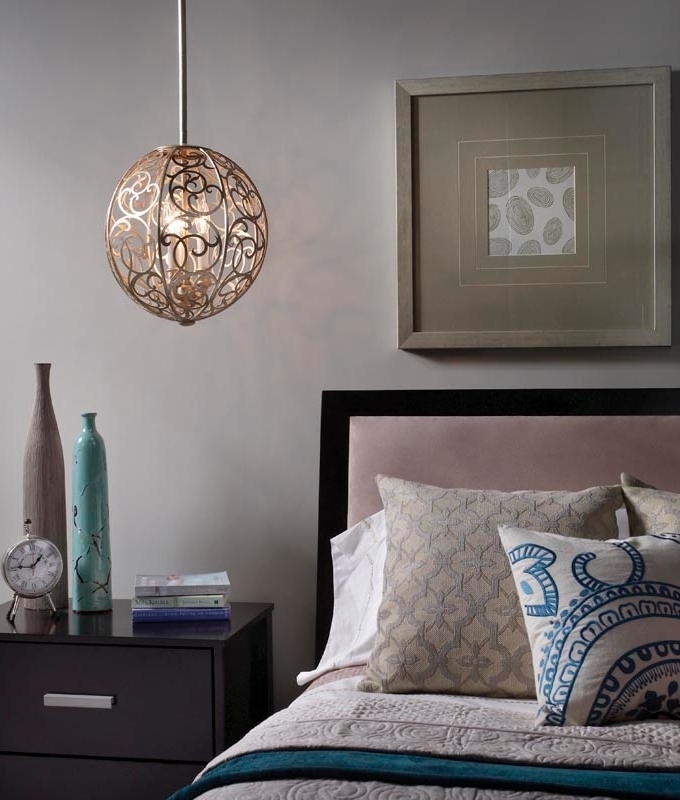 This pendant has unmistakably Arabic influences but this does not restrict its use to traditional or modern interiors. 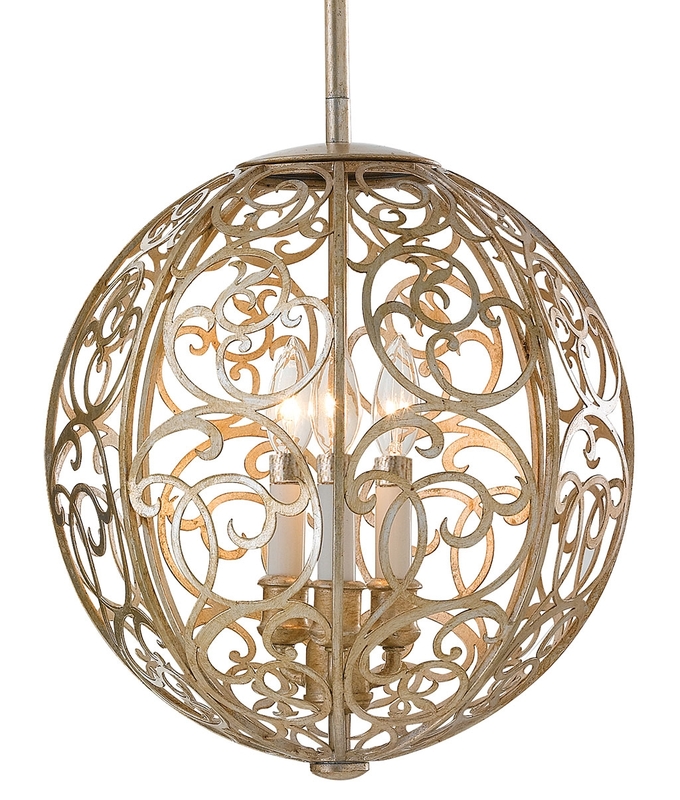 The sphere has a fretwork construction and is hand finished in a soft silver leaf patina. 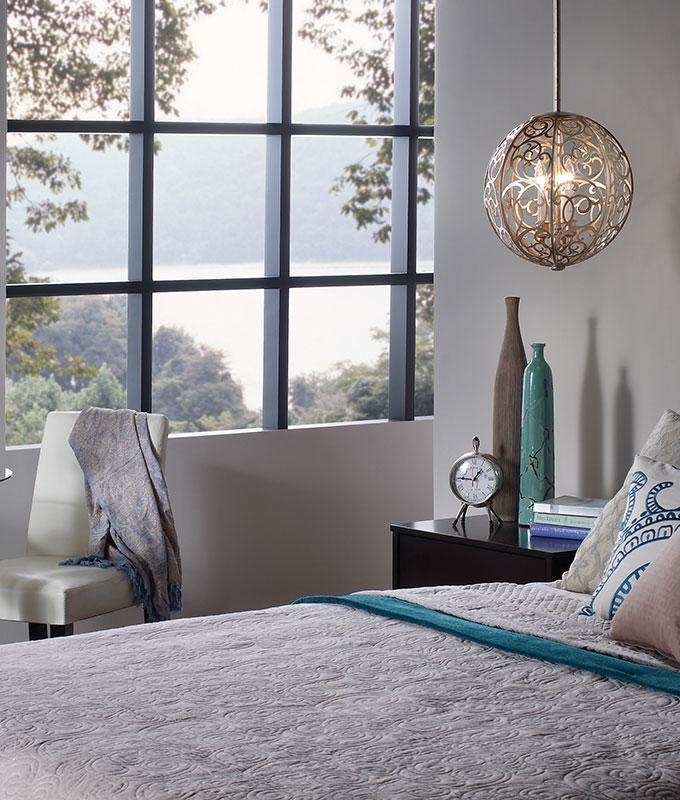 Inside are three lamp holders which not only give more light but create the extra sparkle with light and shadows you can see in the image. These measure 360mm in diameter so ideal for using in multiples especially within a kitchen area but a good size also for bedrooms or hallways for example. 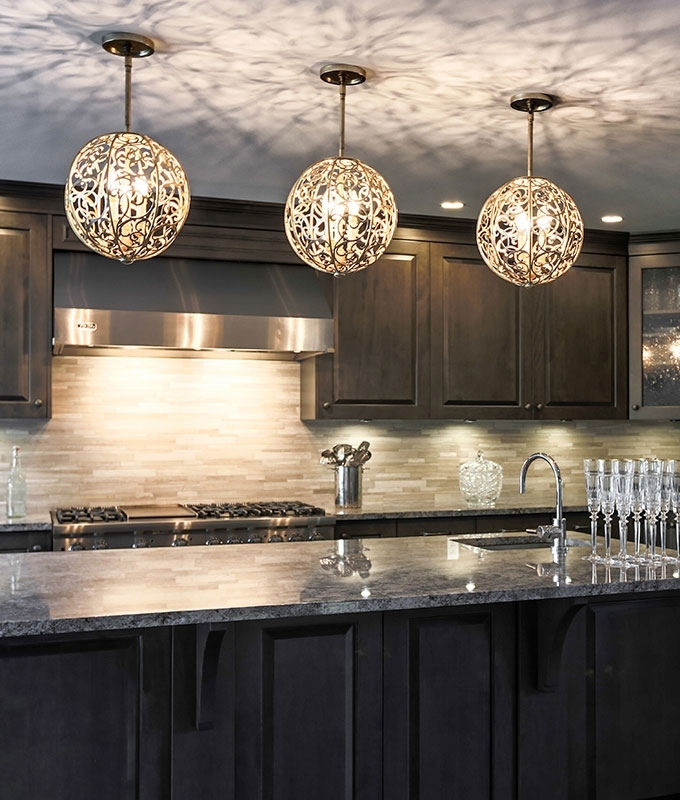 The light that shines through the fittings will create a lovely display on ceilings and walls, a beautiful fitting for interest and illumination. It comes supplied with four 300mm rods and one 150mm rod which can be combined together for a maximum drop of 1350mm or used individually as necessary to provide suspensions as short as 150mm with a single rod. Designed for use with E14 base mains lamps up to 60 watts. Can be used with LEDs for energy efficiency if preferred.